When considering bathroom remodeling in Austin, Texas there are many things to take into account. Fine bathroom makeovers certainly aren't as simple as they appear nor are they as easy as the big box building material store employees make it sound. It takes years of experience to limit the pitfalls that can show up during the remodeling or construction process. First you'll need a design that fits your lifestyle and budget. Many people get overzealous at this point without considering the overall space in which they have to work or the budget they need to consider. How much does a bathroom upgrade generally cost? What are some cost effective measures that can be taken to get the most bang for your buck? 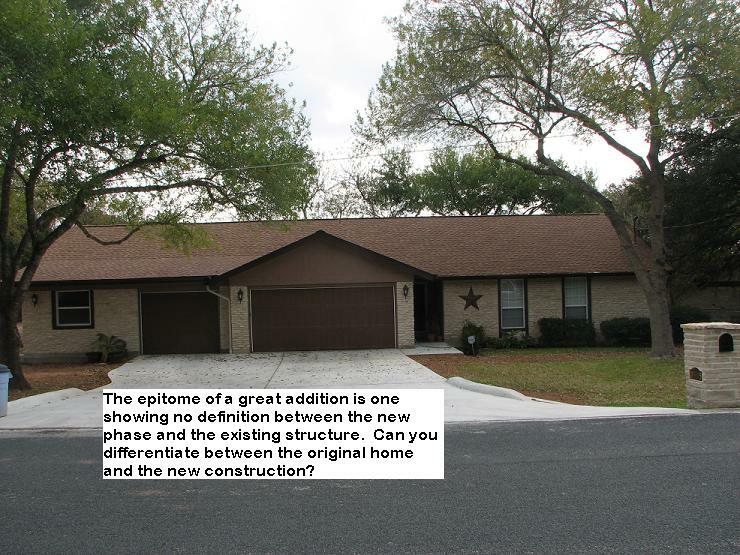 In this present economy many Texas homeowners are choosing to remain in their current homes,. The two most popular and rewarding rooms to remodel are still the kitchen and bathroom. Remodeling these two rooms alone has the greatest influence toward increasing the resale value of your present home. Some local homeowners are remodeling for the future so that accessibility derived from special needs affecting their personal lifestyle never comes into play. What about the costs involved for a bathroom transformation? In general, a typical bathroom remodel in the Austin area can run you about $16,000. However a large master bathroom makeover can push up your budget to around $26,000 as an average. Don't forget that these are average costs and the client is limited only by their bank account totals. 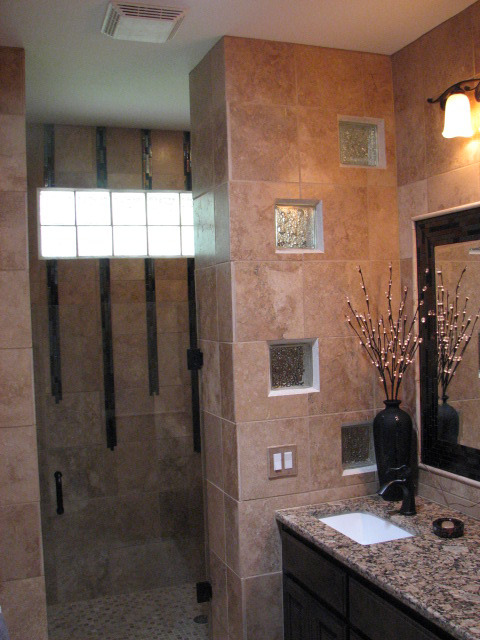 Just the conversion of a tub into a walk in shower design can set you back around $9,000 as a good medium price range. But what makes the costs appear so expensive? Basically time, the difficulty of the job and the actual labor costs performed by all the trades involved plus the expenses for purchasing the products chosen to complete the project. So how about those premium products purchased that will complete the new bathroom design. You've chosen quality plumbing fixtures like Kohler or Grohe setting them into granite counters atop fine cabinetry composed of luxurious hardwoods. Let's say your tile choices include glass and marble instead of ceramic or porcelain and you choose to accent your bath with a glass block design. All these premium finishing choices will drive up your project's bottom line well above the averaged costs mentioned above as a rule of thumb. Who do you choose to help you with your dream? It is true that a professional remodeling contractor with years of experience will cost you more than a handyman illegally playing among the trades at your peril but then again there are those professional guarantees to consider. The professional verses the handyman is more likely to seek your overall satisfaction that will follow him into his next job. A true building professional can also orchestrate the job's smooth flow limiting the down time of a most useful room. Subcontractors will not be covered up and each skilled trade is brought onto the sight as needed in an orderly fashion. Professionals normally have insurance to cover on the job accidents to protect the homeowners from having legal action brought against them personally. Be sure you ask for a certificate of insurance from your chosen professional contractor so that you aren't held personally liable for medical experiences covering a worker's accident while on your property. You have contemplated and dreamed of an addition to your home for years but now it's time for you to make a decision as to how you accomplish your basic needs for living. Certain changes in your lifestyle have dictated an expansion. Your living space has grown more crowded over time with additional family members being added as children, extended family members, or you may now find yourself having to provide care for an elderly family member. Any and all of these life changing situations can add stress to your daily lifestyle creating the need for additional living space or home improvements Austin. As our children grow older they generally require more space and sometimes privacy. This sparks a need for additional bedroom space alone once an aging relative or spouse is introduced into the original home's square footage who requires special care. Here, privacy can truly become an issue just to keep everyone happy while underneath the same roof. Perhaps even private entrances will be required for some of the home's new residents. These private entries could be required to begin a new accessible route if there are ADA compatibility issues involved. It's time to find yourself either a qualified architectural firm and residential remodeling contractor or a local experienced residential construction contractor with in house design capabilities who can build what is designed. The latter situation is usually your best shot at getting what you basically need to solve your living situation problems allowing you to cut out the beyond budget frills. You will also save on the soft costs of your construction project that have nothing to do with the structual building process itself. Many local residential contractors are quite capable of pushing out a wall in your home and putting a top on the structure. This capability is based on both their experience and knowledge of all the building trades, especially the framing aspect that will be involved. Actual experience in this particular facet of the project could proove to be very helpful for visualizing the construction and it's possibilities. Has this contractor ever done this kind of project before? Does he himself have skilled experience or does he appear to be a drive by limited contractor at the mercy of his subcontractor's capabilities? Any depth of design is totally based on experience. You will need to completely check out the contractor's references and any memberships in local business organizations like the Better Business Bureau. What kind of rating does the residential remodeling professional have and how long has he been an accredited member? Does the company have both general liability and Workman's Comp insurances and did the company offer you a certificate of insurance verifying their coverage. You need the kind of information that can't be paid for and posted by the residential remodel contractor in question. Don't be taken in by contractor listing and referral sights that promise you successful and competent businesses. They were listed there for one and only one reason, somebody paid for the listing fee. Membership to national associations like NARI reflect only a self paid fee but says nothing about the contractor's experience and creativity. That only comes from past customer's testimonials that you can fact check. Now how about the competitive bid prices you have collected? A good rule of thumb is to toss out the lowest and highest numbers and go with the mid price. This is true if and only if the company can pass the litmus test outlined above. However, the project should be based on overall quality and remember you usually get what you pay for. This situation will be solved with how the personalities of you and the contractor mesh together. You must be able to communicate with this person who has come into your life throughout the construction process while keeping a level head for problem solving. There will be problems because every construction and remodeling project has at least one. There also needs to be a norm in the way the proposal is written. Has the bidder been transparent and detailed to you in writing what is being covered within the bid? Are there meaningful and fair allowances contained within the bid covering the materials that will be used but have no specifications as of yet? You must do your homework before entering into any contract without regret.